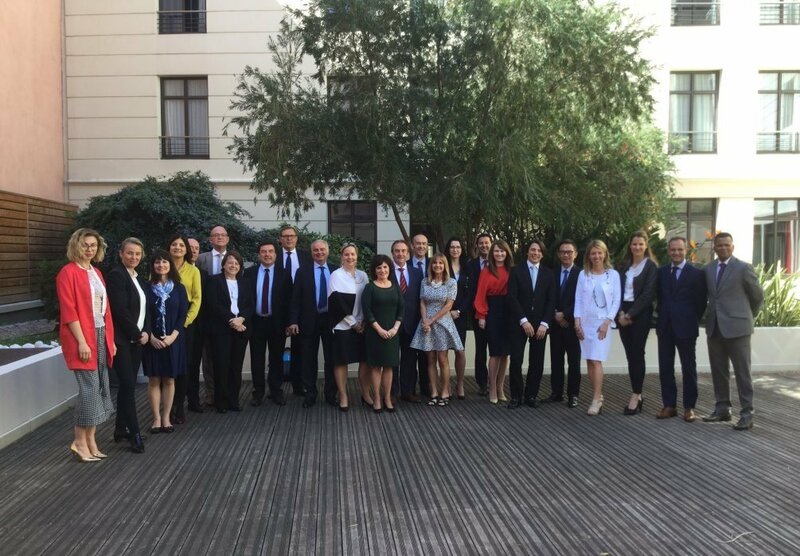 During recent meeting that took place on 5-7 April 2017 in Marseille, France members of IMSA International Executive Search (a global executive search network operating in 25 countries) introduced changes to the network’s Management Board. The following new board has been appointed: Monika Ciesielska-Rutkowska (as the new President), Marianna Carbonari, Kathleen Duffy Ybarra, Jerry Chang, Thierry Goder and Wolfgang Kasper. The main focus areas of the new board will be expanding to new countries, while ensuring the best quality of new partner companies and exploiting digital media for expert content publication. At IMSA International Executive Search we work very close with our customers, who entrust us with their most complex and confidential management and recruitment challenges. To effectively tackle those challenges we need not only exceptional people & communication skills but also a wide range of business expertise. This helps us to understand our customers better and allows us to find best people for executive positions. Currently we live in a digital world, with globalization progressing to the next level due to new means of communication (social media). On the base of vast amounts of data being discovered and analyzed, companies create new business models or even whole new industries. Thanks to technology new companies emerge on the market and successfully challenge incumbents. At IMSA we understand and recognize those trends. We know that in this rapidly changing business environment there is a need for a new breed of executives – executives who will not only deliver on their financial goals, but also recognize the growth opportunities provided by technology and are able to increase customers loyalty and employees engagement. To provide our customers the best recruitment services and be present everywhere where our customers need us (in digital and non-digital world) IMSA partners have appointed new Members of the Board. President of IMSA International Executive Search. Founder of IMSA Poland / Carpenter Consulting. Monika has over a ten years of experience in recruiting managerial staff and auditing managerial competence. With background in working with large-scale IT & technology companies she adds digital competence to her expert skills in executive search. Founder of IMSA Italy / Value for Talent. Marianna has over fifteen years of experience managing complex executive search projects. She conducted more than 400 searches in the main industries of the Italian market. Being a Senior Associate at Spencer Stuart Italy allowed her to gain in-depth understanding of many industrial sectors and FMCP. Founder of IMSA USA / Duffy Group, Inc. Kathleen launched the Duffy Group in 1991, quickly growing it into one of the most-respected recruiting firms in the country. With over 25 years of presence in the market and running successful operations in both booming and post-crisis economy, Kathleen brings invaluable insight and perspective. Managing Director of IMSA China / Barons & Company. Jerry has over 15 years of executive search experience in Asia. Has gained multinational experience working in Sydney, Los Angeles, Shanghai. His background includes working in senior positions as CFO or General Manager, covering areas like corporate restructuring, corporate financing, pre IPO work. Jerry has deep understanding of the needs and challenges of foreign corporations operating in Hong Kong and China. CEO of IMSA Mauritius / Alentaris Ltd, one of the leading recruitment agencies in the region. Comes from Law, Human Resources and Engineering background. He has been involved in recruitment assignments for Government bodies, International NGO’S and private sector organizations in Mauritius and abroad. He has supported various Ministries and Government Agencies as a Facilitator on Interview Panels. Founder of IMSA Germany / Schaaf Peemöller + Partner. Masters degree in commerce. Studied at University of the German Armed Forces, Hamburg. Gained industrial experience working for Olympus Optical Co. (Europe) GmbH, Hamburg on Executive Marketing and Sales positions, as well as Medical Instruments Managing Director – Marketing and Sales Europe, Cameras and Dictation Systems. With well established presence in the Western Europe, IMSA plans to strengthen and expand its operations in Africa, Asia, the Americas and Central and Eastern Europe. During the next two years IMSA would like to engage with at least 10 new partner companies. “At IMSA we take great pride in the level of executive search services we provide, so finding a company with values and experience similar to ours is as much a challenge as finding a good candidate for a CxO role. We will be very strict during verification of potential partners to make sure the whole group can deliver our services with adherence to highest industry standards,” said Monika Ciesielska-Rutkowska, the new President. IMSA’s plans for the coming years also include publication of content using digital media channels to share knowledge and expertise.